Children work with hands-on materials in preparation for writing and cutting. Children work on a variety of skills to prepare for K5. While phonemic awareness and reading readiness are a big part of K4, the classes also work on math, art, science and social studies, as well as gross motor, fine motor and social skills. They attend music and chapel classes once a week. Our five-day class also completes cooking activities and visits the computer lab. Our K4 teachers develop lesson plans based on Kindergarten Common Core Standards and SC Early Learning Standards. Emily is new to Aldersgate CDC this year. She and her husband, Nathan, moved to Greenville two years ago from Jacksonville, FL where she was a dental hygienist and sang in her Praise Team at church. Emily has two boys, Mac (12) and Eli (9), who keep her very busy with sports and their guitar lessons. Originally from Indiana, she received her Music degree and dental hygiene degree from Indiana University. Emily looks forward to incorporating music and songs into the classroom. Originally from Georgia, Tonya lives in Greer with her husband Craig and their two daughters Bentley (10) and Evelyn (5). Although Tonya is new to the CDC staff this year, she is no stranger. 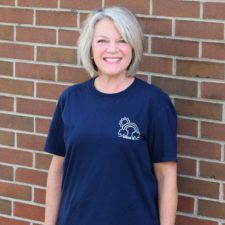 She has been a volunteer and a substitute but is most proud that both of her girls are products of Aldersgate. 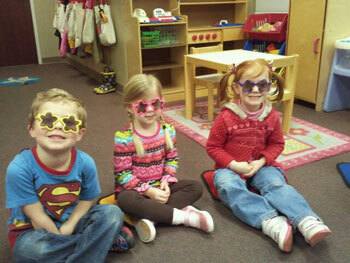 Bentley is an Aldersgate graduate and Evelyn is now enrolled in K5. Before being a stay at home mom, Tonya was a product manager in the commercial design field. She is now excited to be a might Eagle in the Camp Learn-a-Lot K4 class. She enjoys volunteering at her church and her children’s schools as well as spending time with her family. 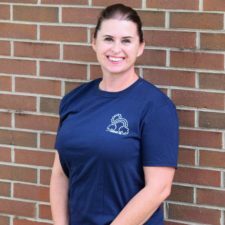 Shannon earned her bachelor’s degree in psychology with a minor in Education from the University of Buffalo, and holds a master’s degree in mental and rehabilitation counseling from the University of South Florida. This will be her 12th year teaching at Aldersgate. She and her husband of 22 years Mitch have two children – Jacob (18) who is a freshman at Clemson University and Madelyn (16) who is a junior at Eastside High School – and one dog Abby! When not teaching, she is often watching her daughter play soccer or her son play lacrosse. She loves spending time with her family and friends and she LOVES the cold & snowy weather! 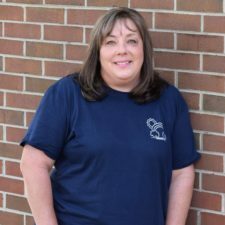 Pam is a Clemson University graduate and along with her husband Rick is a parent to two teenage daughters, Anna (20) and Katie (18). Both girls are studying engineering at Clemson University. Their 2 dogs & 2 cats help to fill their empty nest. 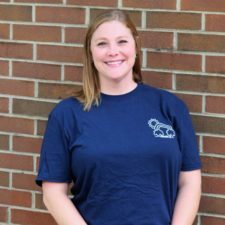 She started at Aldersgate CDC in 2013 and is thankful for the opportunity to work in a nurturing loving environment where children can learn and experience new challenges that will help build their confidence. Her favorite thing about teaching is seeing a child’s confidence grow through little and big accomplishments. Pam is excited and happy to be back for another great year in the K4 Froggy class! Aldersgate Child Development Center promotes social, physical, intellectual and spiritual growth for our children by providing a loving, Christian environment, implementing play-based, hands-on learning and maintaining a close partnership between the teachers and parents.